Yesterday was my moms birthday, so we always find a way to celebrate her as well as America. We had the best Maryland Crabs from Conrads and Harpoon beer! It was lovely vibes with good people. That's what it's all about. I ventured into my local beer shop for the first time. 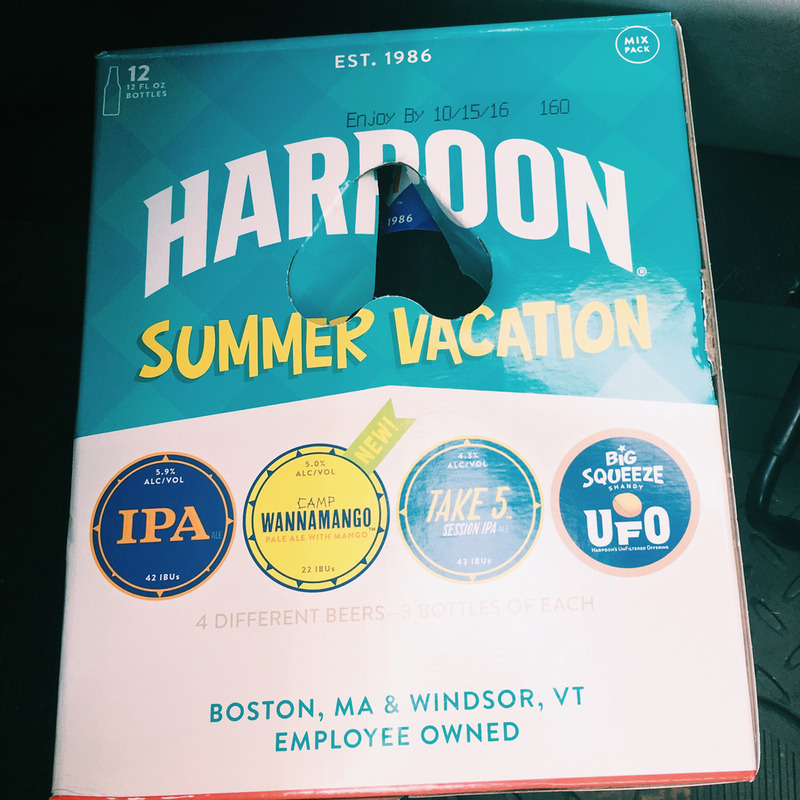 Thats when I spotted the Summer Vacation variety pack by Harpoon. Last weekend, my best friend and I worked at a crab & beer fest and she was the beer pourer for Harpoon. I'd never heard of their brews before but am so glad I was put on to them. Bonus: the company is completely employee-owned. Woo! The variety pack comes with 4 different beers, 3 bottles of each, perfect! There's an IPA, Camp Wannamango (pale ale with mango), Take 5 (session IPA ale) & Big Squeeze UFO (orange flavored). My favorite is the Camp Wannamango. I think its genius to have a mango beer. Its light yet crisp and the mango gives it the perfect after taste. Yum Yum. What are you summer 16' beer favorites? Comment below! Stay tuned for the SUMMER BEER FAVORITES video coming soon!